Welcome to the Foot Doctor of the East Bay! Welcome to our office! Our California podiatrists are proud to offer you the best professional and personalized care in San Leandro, Pleasanton, and Los Gatos, CA. With cutting-edge equipment—from laser therapy to acupuncture—there are many treatment options to choose from. Patient care is our top priority. 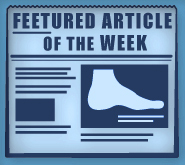 If you are experiencing any sort of pain or discomfort in your feet and ankles, no matter how small, we have a plan! When you get down to it, your feet are extremely important to your overall health. Think of all they do for you in a given day! Then factor in the fact that just standing for a long time can make them uncomfortable, and you realize how easy it is to have foot issues. Let us treat your feet! We know they deserve it. Your California podiatrists can diagnose and treat a variety of bone, tissue, and nerve aches and pains. Our knowledgeable staff understands the complexity of your pain and use state-of-the-art equipment to allow you to take a stand. We use tests from ultrasound and digital X-rays to MRIs and biopsies to find the source of your discomfort. We specialize in laser treatment for fungal nails, diabetic wound care, custom orthotics, and many other foot conditions. With our tried-and-true laser therapy we'll have you back to normal in no time at all. To help expedite the process and get you on the fast track to recovery, we've made it simple to find our office and to schedule an appointment through our website. If you have trouble connecting with us online, call our office at (877) 994-5273 or(510) 483-3390. We accept a variety of PPO's, workman's compensation, Medicare, and other health plans. Please call our office to verify acceptance of your insurance carrier. We look forward to your visit and to administering the best care possible.